In Farcountry Press' Cascade Babies! 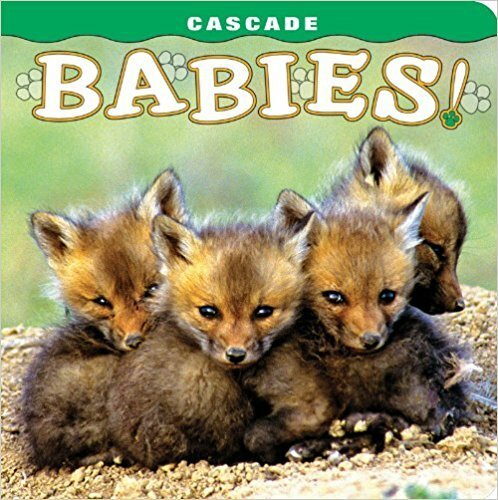 you will meet 13 lovable baby animals from the Cascade Range. Playful otters swim in the river, a curious black bear cub tastes the flowers, a happy coyote plays with a stick, and a sleepy mountain lion cuddles with mom. See these animals at play in their natural habitat. Charming rhymes accompany 13 colorful and engaging photographs of these animals, and more, by some of the best wildlife photographers in the region. 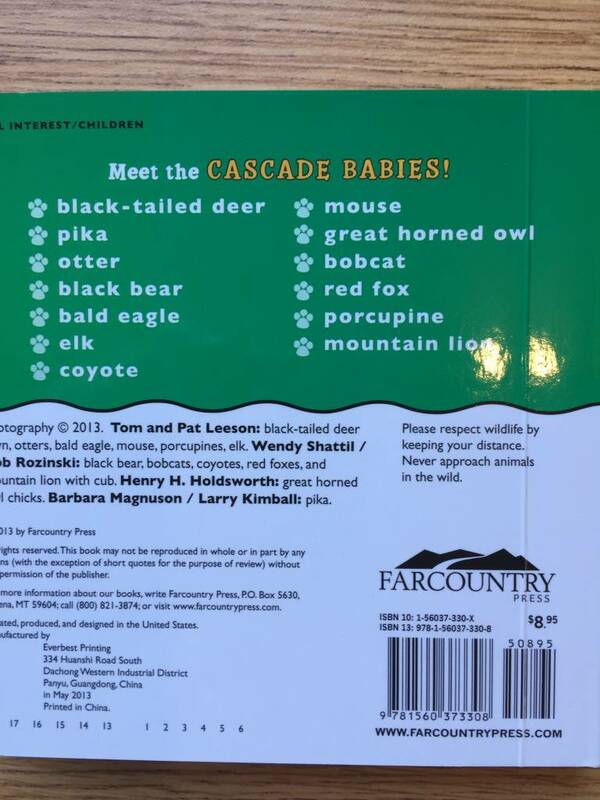 With this newest addition to the popular Babies!board book series, parents can introduce their young children to the baby animals of the Cascades.